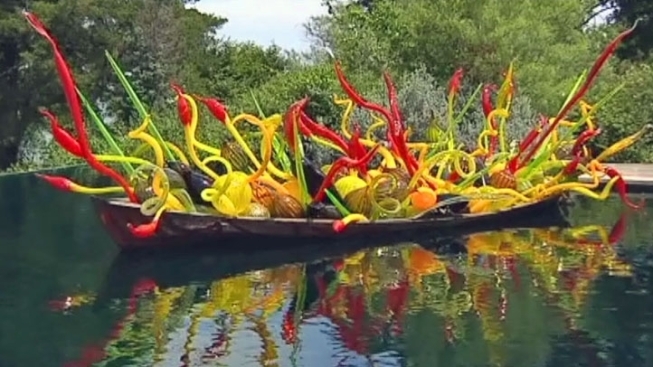 If high gas prices have you looking for local attractions to occupy your weekend, the Chihuly exhibit is worth the drive to the Dallas Arboretum (especially before it gets too hot to be outside). 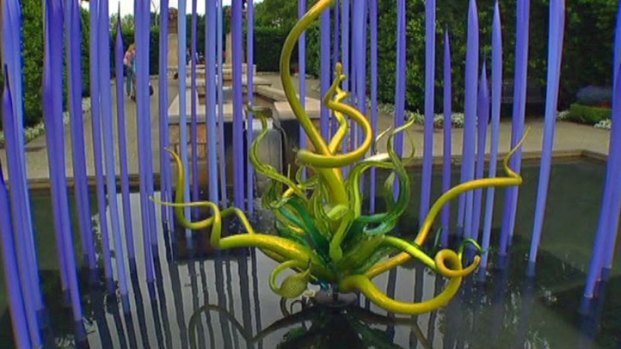 Famed artist Dale Chihuly, known best for his extravagant glass sculptures, has brought his monumental designs to life at the Dallas Arboretum. From May 5 to November 5, 2012, the 55-acre space will be transformed into a dazzling display of crystallized Chihuly sculptures. One of the main attractions is a 30-feet high icicle tower made of more than 2,100 pieces of glass. The intricate glass designs may leave some to wonder how the structures will hold up in extreme weather. However, according to Tom Lind, project manager, the artwork is more secure than meets the eye. "It actually holds up very well," said Lind. "We have a very small percentage of breakage through the life of the show." 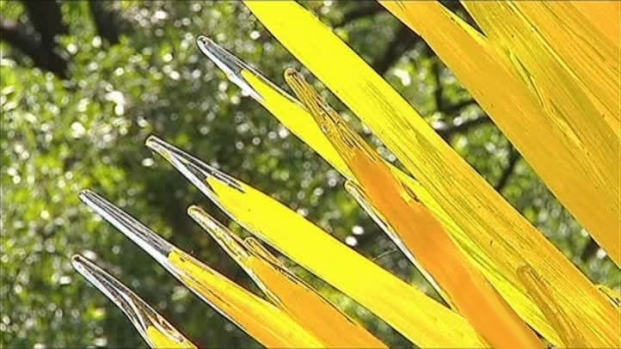 According to the Arboretum's website should there be any weather damage the Chihuly Studio will work to replace the damaged artwork. Chris Emrich with the Dallas Arboretum talks about the 27-piece Dale Chihuly exhibit currently on display. In addition to the six month long exhibit, the Arboretum will offer garden hours from 6 to 10 p.m. on Tuesday, Wednesday and Thursday evenings from May through October to present Chihuly Nights. Spectators will have the opportunity to view the sculptures with special effects lighting as well as enjoy various dining options. Normal Arboretum hours are 9 a.m. to 5 p.m., Monday through Sunday. Ticket prices are $15 for adults, $12 for seniors, $9 for children and $10 for parking. More information can be found on the Dallas Arboretum website.